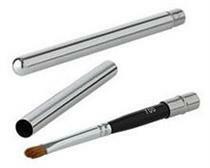 Use for defining brows and for smokin’ out shadow or liner against the lash line. Great for dusting translucent powder, highlighting powder, or any shimmer and blush wherever you need a diffused wash of color. 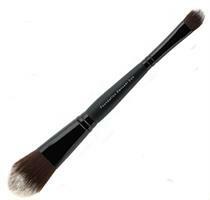 This two-sided brush is constructed for a convenient transition between applying foundation and concealer. Synthetic fibers are vegan and cruelty-free. ARTIST CHOICE PROFESSIONAL BRUSH KIT - 12 Pro Brushes in a stylish roll-up case - a great value! SET INCLUDES: Foundation 28, Blush 02, Powder 01, Angled Blush 33, Brow/Lash 15, Brow Definer 10, Concealer 34, Smokey 25, Shadow 36, Shadow Liner 11, Blender 35 and Lip 14. 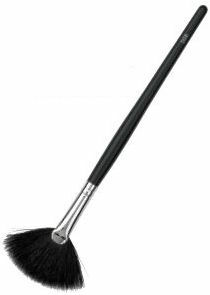 Artist Choice brushes also available individually. A convenient Brush Roll for the artist on-the-go. Fits up to 11 brushes. These sponge wedges (8-pack) are ideal for applying and blending liquid foundation and cream makeup. The angled sponge allows for more precise application on the face. These round foam sponges are ideal for applying foundation. Makeup blender sponge is soft, latex free and designed to work with the contours of your face. It's perfect for applying and blending your liquid and creme foundations. This high-density, latex-free sponge is infused with Vitamin E. It is crafted to apply crème or loose powder formulas with precision. 25-pack of Disposable Mascara Applicators. Perfect for separating eyelashes before and/or after mascara application. Easy to use and convenient to carry. 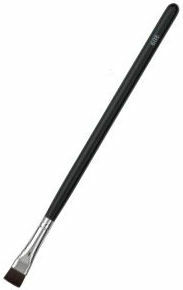 This professional curler will help accentuate your lashes with ease. The handle and silicone pad grip lashes without pinching or crimping.